Compared to the Advanced Level, I much prefer the High Advanced books. I remember thinking that the passages in the advanced level (especially advanced 1) are boring and I sorta gave up halfway through. I’m not learning much new vocabulary and grammar using the books and they don’t make a very interesting reading practice too. The high advanced 1 book is way better in its choice of topics. Looks good right? The coverage is wide and the topics are interesting (and relevant to modern Korea). Each chapter starts off with a reading passage and most of them are actual news articles. The new vocabulary and expressions are annotated clearly, and the passage is followed by a glossary of the terms. The glossary is a convenient and quick way of checking the meaning of the terms, but in some sense, quite useless to me. Unlike the lower levels, they do not provide in depth explanation or example sentences. Which is fine by me since I check out new vocabulary on my own using the Daum dictionary online. Some of the ‘new vocabulary’ are actually quite simple, and I wonder how people can get up to the high advanced level without knowing them. Since the passages are news article, there’s alot of new hanja terms (more formal) which is well suited for the advanced learners. This is followed by a list of useful expressions – which is my favorite feature of the book. These fixed expressions aren’t really grammar points but they will help to make your Korean more fluent-sounding and sophisticated as I’ve stated here. Ample examples are also given, which is a plus point. The exercises in the chapter are.. a little boring and without any model answers given in the book, I usually skip them. Every chapter ends with a related reading and they helped to expand the topic covered in the chapter. Makes good reading practice and to pick up more vocabulary too. Even though the book states ‘high advanced’, I don’t really think the level is that high. I mainly use the book for its fixed expression list and as a form of reading practice, picking up some new vocabulary on the way. For those who are still more inclined to use books with English translation / explanations, this will be a good choice. They have translations of the passages right at the back of the book. Probably one of the few advanced level Korean books in English. All in all, I still recommend using the book if you have free access to it. If not, I don’t really think I’ll shell out money for it (on a tight budget) when I can easily access the online Korean news sites and get all the articles I want. Hi Shanna. i have used some of the integrated textbooks. But i don’t know what level i am at right now. 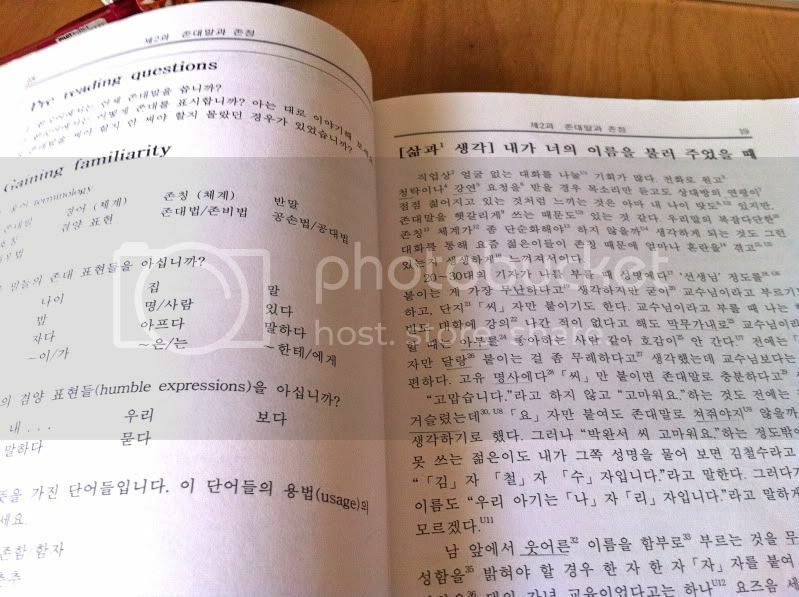 Integrated Korean High Advanced Textbooks can it be equivalent to Yonsei Level 6 or Topik 5 ? I never have opportunity to read Yonsei books. 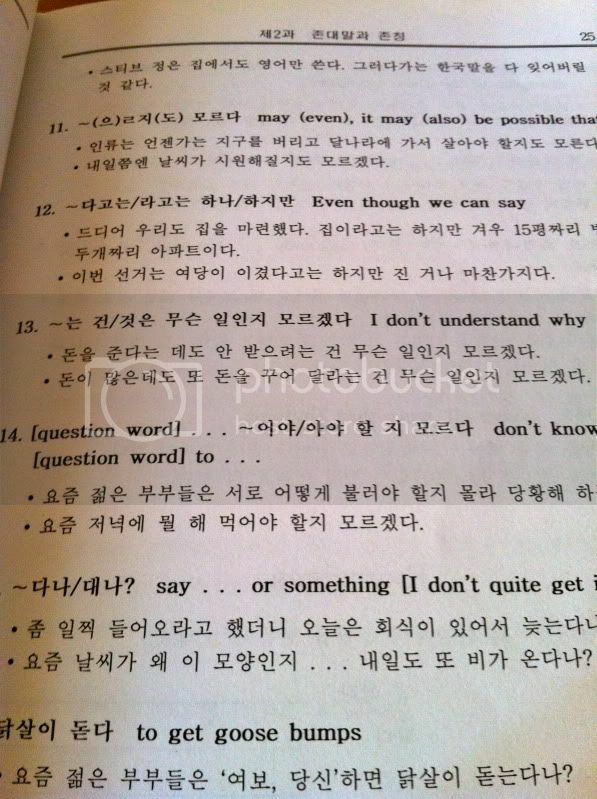 So i am curious what is the standard of Korean by Integrated Textbooks.